Hope is on the wish list at the Mississauga Food Bank, where a Christmas fundraising drive is underway with goals of raising $500,000 & 275,000 pounds of food. Give Hope for the Holidays is running until Jan. 6. An estimated 182,000 Mississaugans live below the poverty line – more than 100,000 of them children. Fresh food – fruit, vegetables, dairy products, meat, 1L of milk, eggs. Pantry staples – one box of cold cereal, two snacks, two cans of vegetables, two cans/jars of fruit, one soup or stew, one can of fish or meat, one small bag of pasta, one jar of pasta sauce, two cans of beans, one peanut butter or jam, two small bags of rice, one condiment, one box of mac and cheese, two packs of cookies, one pack of tea bags/coffee/hot chocolate, one pack of crackers. Personal Care & Household – two personal care items (shampoo, hygiene, etc. ), one cleaning supplies/household item, and two rolls of toilet paper. Donations are being accepted. 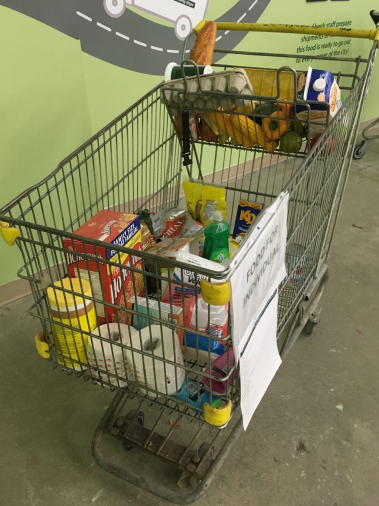 In addition, residents and business owners are being encouraged to take part in running community events, such as garage sales, scavenger hunts, and charity dinners, or a pallet challenge. October’s Thanksgiving campaign resulted in raising $123,531 and 219,975 pounds of food.